FREE SHIPPING: Limited to the Continental U.S. (48 States), Alaska and Hawaii. Online orders cannot be shipped to a PO Box, military APO/FPO or international address. We require that the shipping address match the billing address on the credit card that you are using to place the order. This helps protect you from theft or fraud because the address you enter is verified. The Estimated Delivery Date provided at checkout is an estimate only and does not guarantee delivery by a specific date or time. Order delivery times may be delayed due to circumstances such as credit authorization, backordered equipment, insufficient or inaccurate information provided when placing the order or incomplete payment. We not offer weekend or holiday delivery options. All orders are processed and delivered Monday – Friday only. Couriers will leave packages at your door and do not require a signature. Internation shipping alternative with MyUS. international shipping to more than 225 countries for our customers. MyUS.com members receive deeply discounted shipping rates, exceptional customer service, 24/7 online access to their account, and access to other services. 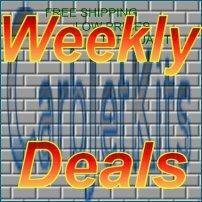 Note:Use MyUS.com's Personal Shopper service to make a purchase from CarbJetKits. MyUS.com accepts cards with international billing addresses as well as those issued by non-U.S. financial institutions. They also accept wire transfers and will make the purchase on your behalf. 1. Get your own U.S. address in America at myus.com. No Problem! You may return any new, unused or unaltered Jet Kits to CarbJetKits within 14 days of receipt. Make your own Jet kits are NOT eligible for return or refund! Calculated jet Kits are based of USA stock jetted Motorcycles. Non-USA orders are not eligible for return or refund! A refund for the price paid, less any original and/or return shipping fees, will be issued to the payment method used at time of order. Fees paid for international duties, taxes and/or brokerage fees are non-refundable. All returns must include original tags, packaging and be shipped in an appropriate shipping box. Return shipments which do not meet all above criteria will be refused and returned to sender at the senders expense. CarbJetkits reserves the right to charge a 20% restocking fee at our discretion. All Returns MUST be approved by CarbJetKits prior to returning any items. Items returned without prior approval will not be refunded! To request a return approval, customer must use our online RMA System. If your order is elegible for a return, you will see a Registration of the return link on your order details page once your order has the status COMPLETED. Products with the Return period: 14 days showing on the product detail page are elegible for returns only. When Customer places an order, the order will be shipped to an address designated by Customer as long as that shipping address is compliant with the shipping restrictions contained on this website. All purchases from this website are made pursuant to a shipment contract. As a result, risk of loss and title for items purchased from this website pass to Customer upon delivery of the items to the carrier. Customer is responsible for filing any claims with carriers for damaged and/or lost shipments. CarbJetKits.com is the sole owner of the information collected on this site. We will not sell, share, or rent this information to others in ways different from what is disclosed in this statement. This web site contains links to other sites. Please be aware that we are not responsible for the privacy practices of such other sites. We encourage our users to be aware when they leave our site and to read the privacy statements of each and every web site that collects personally identifiable information. This privacy statement applies solely to information collected by this website. IN NO EVENT WILL CARBJETKITS OR ITS AFFILIATES, OR THEIR RESPECTIVE OFFICERS, DIRECTORS, EMPLOYEES, SHAREHOLDERS, AGENTS, SUCCESSORS, OR ASSIGNS BE LIABLE FOR ANY DIRECT, INDIRECT, PUNITIVE, INCIDENTAL, SPECIAL, OR CONSEQUENTIAL DAMAGES THAT RESULT FROM PRODUCTS PURCHASED BY CUSTOMER. THIS LIMITATION APPLIES WHETHER THE ALLEGED LIABILITY IS BASED ON CONTRACT, TORT, NEGLIGENCE, STRICT LIABILITY, OR ANY OTHER BASIS, EVEN IF CARBJETKITS HAS BEEN ADVISED OF THE POSSIBILITY OF SUCH DAMAGE. BECAUSE SOME JURISDICTIONS DO NOT ALLOW THE EXCLUSION OR LIMITATION OF INCIDENTAL OR CONSEQUENTIAL DAMAGES, CARBJETKITS'S LIABILITY IN SUCH JURISDICTIONS SHALL BE LIMITED TO THE EXTENT PERMITTED BY LAW. NEITHER CARBJETKITS NOR ITS AFFILIATES WILL BE LIABLE FOR PRODUCTS NOT BEING AVAILABLE FOR USE. CUSTOMER AGREES THAT FOR ANY LIABILITY RELATED TO THE PURCHASE OF PRODUCTS, NEITHER CARBJETKITS NOR ITS AFFILIATES ARE LIABLE OR RESPONSIBLE FOR ANY AMOUNT OF DAMAGES ABOVE THE DOLLAR AMOUNT PAID BY CUSTOMER FOR THE PRODUCT(S) GIVING RISE TO THE CLAIM. By using this site, you signify your assent to the CarbJetKits Policies. If you do not agree to this policy, please do not use our site. Your continued use of the CarbJetKits website following the posting of changes to these terms will mean you accept those changes. "My Magna V45 got her power back after installing the Jet Kit. I had the muffler modified and a..."
"These guys know what's going on installed my kit on 1983 interceptor 750 and it runs so much..."
"Awesome service, fast shipping, great installation instructions, would definitely recommend to..."
"Used the calculator to get what kit in need for my Magna, with cobra pipes, and K&N air filter...."
"1/16/16 POD FILTER jey kit. I just installed this jet kit. on my 85 vt500 bobber. I used both..."
"This is a great deal. I used the calculator to determine what kit I needed, then ordered it and..."